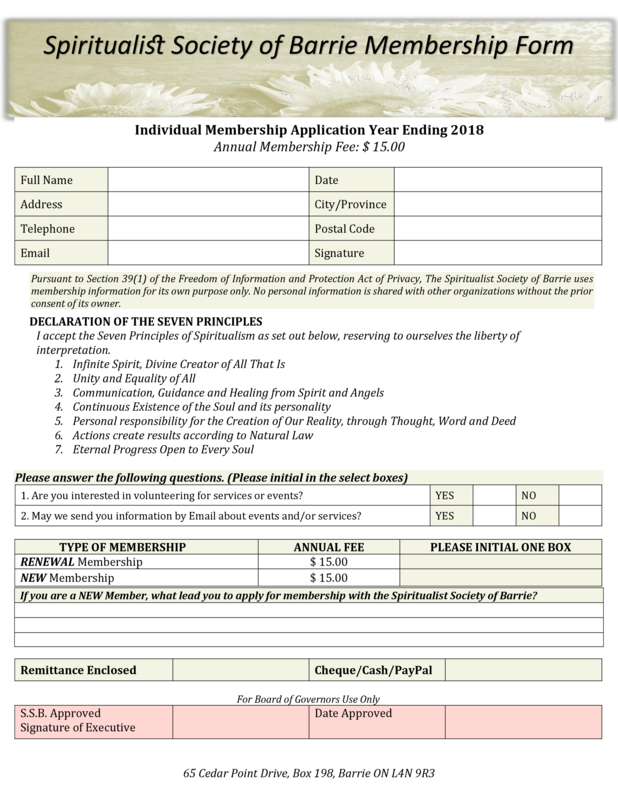 ​please complete the form found on this Membership link Membership Application. Membership considerations take place the third Tuesday of each month at the Board of Directors Meeting. 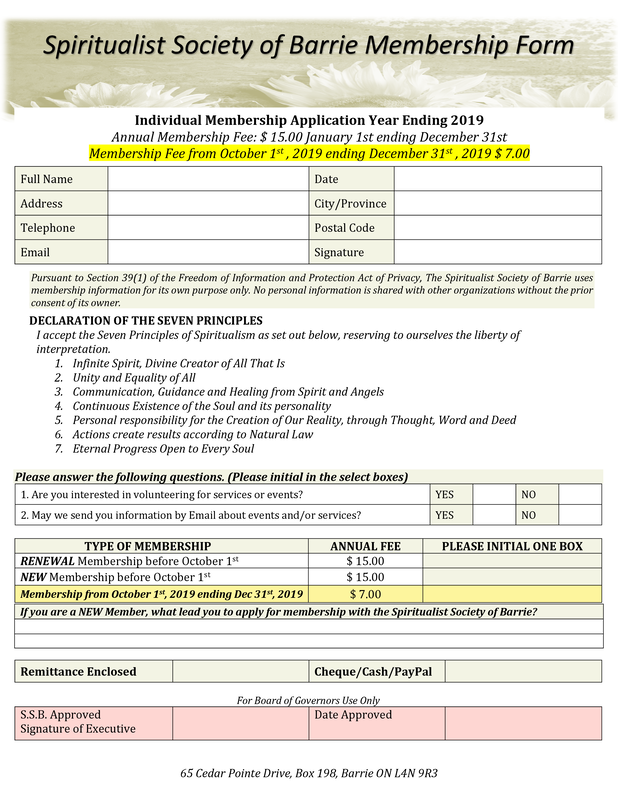 Please send with the appropriate fee, either by PayPal at the link below, or by cheque made out to the Spiritualist Society of Barrie.